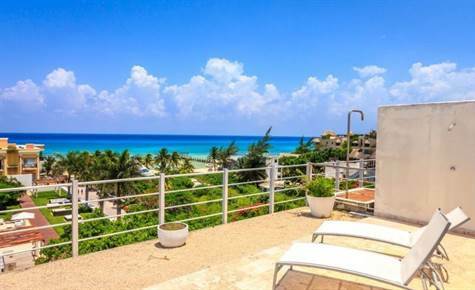 Playacar Phase 1, Playa del Carmen – This gorgeous beach home for sale in Playacar Phase 1, sits on a corner lot, 5 steps to the Playacar beach, which is the best beach in all Playa del Carmen. Playacar gated residential community of Playa del Carmen is the most exclusive and private residential community for discerning buyers. This Playacar home for sale with 5 bedrooms and 7 bathrooms has so much to offer. Besides an outstanding design and style that makes it unique amongst homes in Playacar for sale, it has been built to a level of quality and finishes not seen before in Playacar. The home was developed by a luxury home builder that has built and bought numerous multi-million dollar homes in Mexico, The Caribbean and the United States. You can be assured of attention to high end American standards of design and construction. Buying this Playacar home will be a fantastic family vacation home, or as a full time residence. A large and luxury home in Playacar is also an excellent investment in Riviera Maya as a rental property. Other homes in the area compare with a high high rate of return in rental income. As you enter this home for sale in Playa del Carmen on the main level, the welcoming double green iron front doors lead into the main living areas with open floor plan, delivering a gourmet kitchen complete custom wood cabinets, large slab polished natural dark marble counter tops, and a large breakfast bar, complete with Wolf and Subzero brand appliances. Other extra inclusions are a wine fridge, garburator, fans. This is another unique feature in the home of details. Walking around you will notice the house has marble floors throughout as well. -and finally, the entrance also to the garage, which is a very unique and practical feature not usually offered in homes for sale in Riviera Maya. Going up one level, where there are 3 more bedrooms, you will notice beautiful slab marble stairs. 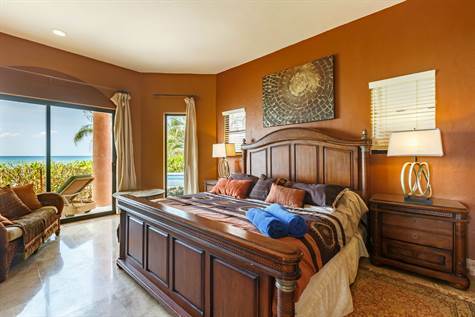 From the master bedroom you will see ocean views and also from the Jacuzzi of the master bath. Each bedroom has ensuite bathroom, with high ceilings for lots of natural light. On the lower level we have a very large space that offers polished cement floors, a separate, curtained media room and here is where we will find the 5th bedroom. Some advantages are: corner lot, two car garage, pool outdoor seating area, and so much more. Owners say to you “Enjoy this wonderful home, great location, and friendly Playacar”. This is the perfect home for large families or as an investment property for vacation rentals. See the pictures and you are sure to fall in love with this gorgeous 5 + bedroom beachfront home. You will find it all here in Playacar phase one, in the Riviera Maya Mexico. Call us today to see this fantastic home. downtown ocean view, Playa del Carmen – Most attractive high-end property in Playa del Carmen. This one-of-a-kind penthouse for sale boasts beautiful ocean views as well as a spacious terrace for outdoor entertaining, sunbathing and stargazing. In an elegant building off the beach, this complex offers gym facilities with ocean views as well as an impressive pool. Over 43560 square feet of outdoor common spaces. 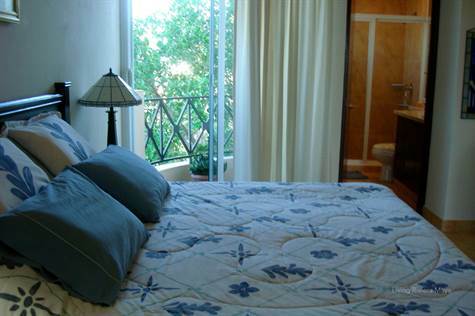 Located between 1st and the beach, dining, nightlife and shopping abound in the area. Everything is within minutes of walking distance from this turn-key condo for sale. This home is located on the top floor, providing beautiful views of the magnificent grounds of Magia Playa and the Caribbean Ocean. Professionally decorated and tastefully furnished. – Beautiful view of Caribbean ocean. – clean bright minimalistic style. Close to Mamitas & Kool Beach clubs as well as Ferry to Cozumel. HOA per month is approx 475 usd. Includes part of Electricty and water and gas. Call us to see this property ! In general, I could say that this spacious and perfectly furnished 2 bedroom condo for sale in Playacar belongs to the best master planned set of condos in all Playacar. 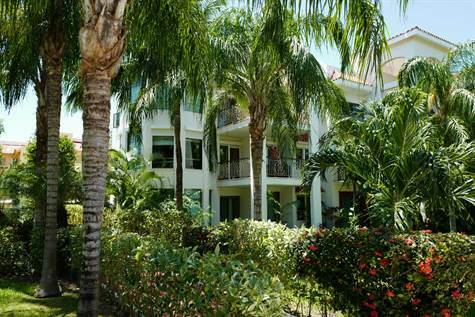 Paseo del sol condos sit on a large treed lot that backs onto the Playacar golf course, offering greenery, shade and the true luxury of well-spaced buildings. If you had to pick only one place in the world to live, this would be it. Private, secure and quiet with lots of greenery, right across the road from the beach access of beautiful beaches of Playacar, as well as being super close to 5th ave Playa del Carmen for all of its activity for dining shopping, coffee and more. Paseo del sol also boasts the largest pool in all of Playa del Carmen. Everything about the setting of this condo in Playacar for sale is relaxing, peaceful and welcoming. This is for the discerning buyer. Inside this Playa del Carmen condo for sale are many upgrades that just sing the word “luxury”. Yet you can feel right at home immediately. This condo was the architect’s focal point when he was contemplating the design of the project. See this gorgeous condo for sale and fall in love ! C1 is a gorgeous 1600 square foot, three bedrooms, two-bath condominium with floor-to-ceiling sliding doors to the balcony so you enjoy beautiful views from both inside & outside the condo. The balcony is equipped with table and chairs, and cozy loungers to relax while dining al fresco or simply reading a book while sipping a margarita! And you are mere steps to the infinity pool and beach with private loungers. We are within easy walking distance of dive boats, shopping, spa treatments, and world-class dining. Take a two-minute walk to beachside bistros with dining choices ranging from regional Mexican fare to five-star dining. Play golf, snorkel, scuba dive, windsurf, parasail, deep sea fish, bike, boat, walk and explore the beauty and history of the Mayan Riviera from your home away from home.